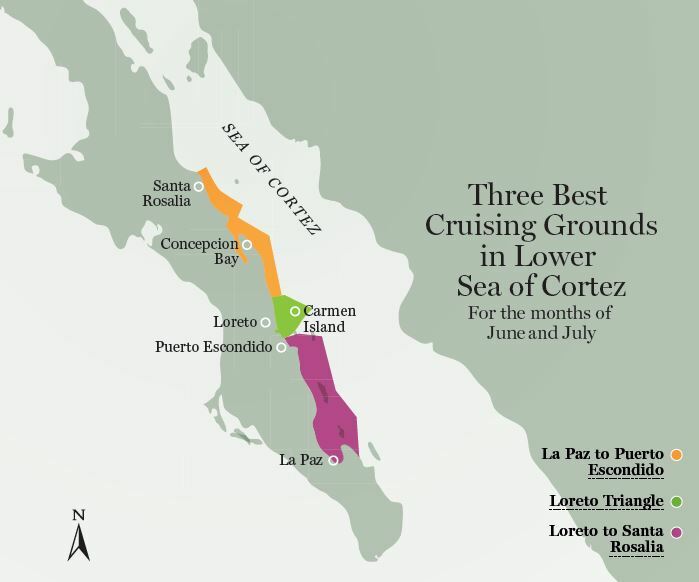 The three best cruising grounds in the lower Sea of Cortez are waiting for adventurous souls. I’m often asked, “What’s a cruising ground? How is a cruising ground different from a cruising destination?” A cruising ground refers to a fairly large geographic area — say, a 100- to 150-mile stretch of coast — that encompasses a wide variety of boating activities, such as overnight anchorages, scuba and snorkel dive sites, fishing spots for different species and maybe some interesting shore excursions nearby. Not every coastline qualifies as a cruising ground. 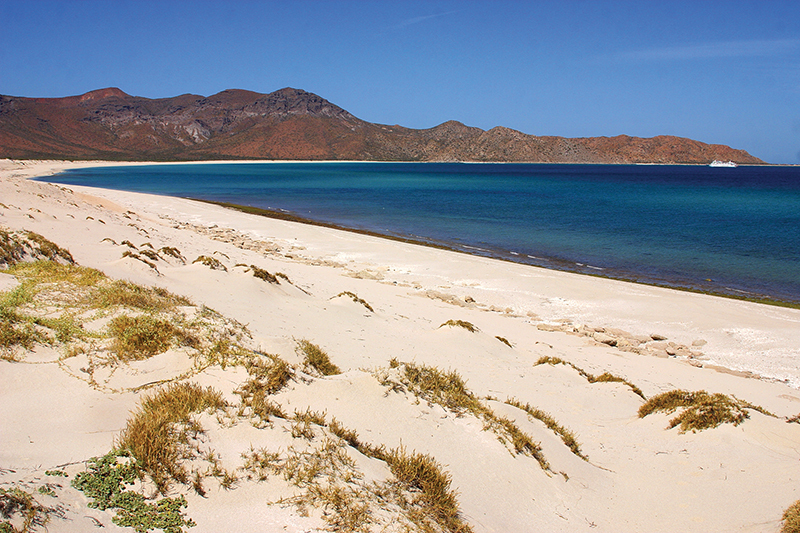 During June and July, the lower half of the Sea of Cortez is chock full of interesting cruising grounds — three of which contain a primary destination: a port town with at least one marina, a fuel dock and a boatyard with yacht services, plus groceries and restaurants — and July might be the last time to enjoy them, before summer really sets in with southerly swells and the threat of hurricanes. La Paz is the state capital and largest town in Baja California Sur. With five full-service marinas, four boatyards and three anchorage areas spread along the six-mile linear bay, it’s no wonder that La Paz supports the largest liveaboard community of gringos in Mexico. And unlike the glamour and resort prices of Los Cabos, the City of Peace feels homey and economical. For the latest in local boating services, news and gossip, visitors should tune in to VHF Channel 22 at 8 a.m. for the cruisers’ net, or stop by the clubhouse of the Club de Cruceros de La Paz (La Paz Cruisers Club) for morning coffee and local orientation. It’s next door to Marina de La Paz. Take advantage of excellent provisioning and medical services in town before you head out. North of La Paz, the 115-mile cruising ground includes Balandra Bay, many island anchorages (the Espiritu Santos Islands, Isla Coyote, Isla San Jose), San Evaristo, Gato and Toro, Agua Verde, Candeleros and Isla Danzante — ending at Puerto Escondido. If you have time for only one cruising ground this year, it should be La Paz to Puerto Escondido. 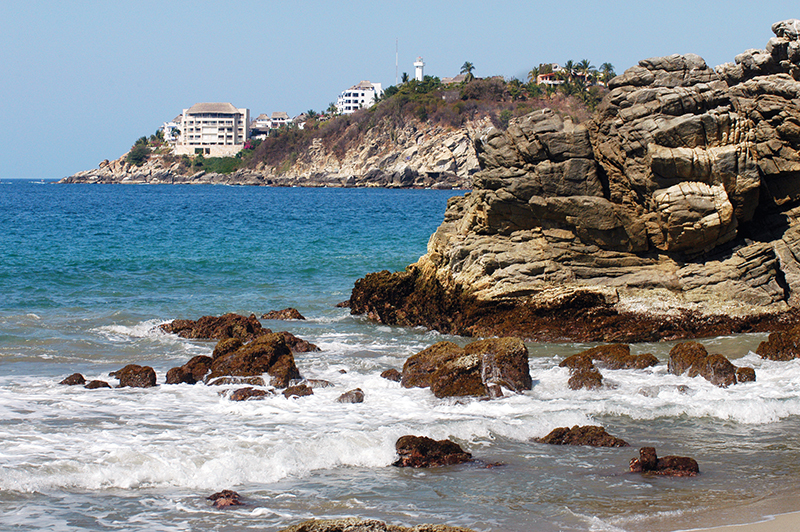 As summer approaches, remember that hurricane holes are found at La Paz (Marina Costa Baja and Marina Palmira) and inside Puerto Escondido’s main basin. Puerto Escondido, Loreto and Isla Carmen comprise what’s known as the Loreto Triangle, a self-contained triangular cruising ground that is only about 18 to 25 miles on each side. The enclosed natural harbor of Puerto Escondido is the yatista hub thanks to two marinas (60 slips and 115 moorings), a boatyard for repairs and dry storage, a sheltered anchorage and the only floating fuel dock for yachts in the region. A new wave of cruisers arrives each spring for Hidden Port Yacht Club’s popular Loreto Fest, but some boaters have lived aboard here for years. When boaters need to stretch their legs, Steinbeck’s Canyon is a short, steep hike into the nearest Sierra Giganta gorge. The historic town of Loreto, 18 miles north on Highway 1, has decent provisioning and medical services, but access by boat is limited to an open roadstead and a dinghy landing inside the small panga harbor. 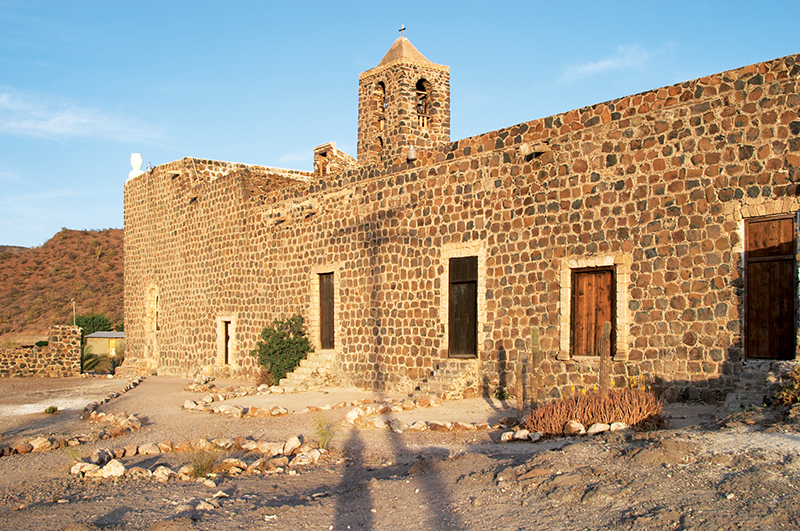 Loreto’s historic mission church was the first in a chain of 22 missions in Baja and Alta California. From here, you can take a one-day round-trip Jeep excursion up to tiny San Javier Mission in the dramatic Sierra Giganta. Carmen Island, 10 to 15 miles offshore, stretches 20 miles, rises to 1,400-foot peaks and provides at least four popular anchorages and many diving reefs. The ghost town at La Salina Bay makes an interesting shore hike. Nearby, a private hunting lodge opens only when invasive big-horn sheep need culling. Fishing anywhere in the Loreto Channel is amazingly productive, thanks to the bottom’s funneling effect, as it rises from a depth of 1,350 feet to 150 feet. Fishing resorts run dorado festivals in June and July. Marlin and other bills are found east of Carmen Island over the steep drop. The next cruising ground varies in length from 120 to 140 miles. It starts at the Little Coronado Islands and progresses to San Bruno, Punta Mangles, San Juanico, Punta Pulpito, tiny San Sebastian, huge Bahia Concepcion, Mulege village, Punta Chivato and Isla San Marcos before ending at Santa Rosalia. The variable stop is Bahia Concepcion, an elongated 21-mile bay called “the sea within the sea.” Near the bay’s entrance, Bahia Coyote offers 10 turquoise anchorages within three miles, some with hot springs or clam-digging shoals and others with beach cantinas. On July 4, ham radio weatherman Baja Geary has a gathering (hot dogs and beer) at his solar-powered radio shack in Playa El Burro. The rest of Concepcion Bay yields 16 more remote anchoring spots — a few with launch ramps. Santa Rosalia is the jewel at the end. Its 2,000-foot harbor breakwater shelters a Fonatur marina, a fuel dock, a Guaymas ferry dock, a navy base, fishing docks and a small anchorage. Santa Rosalia is not a hurricane hole; the original marina was destroyed by a hurricane. The reward here is exploring Santa Rosalia’s historic downtown, on foot if possible. 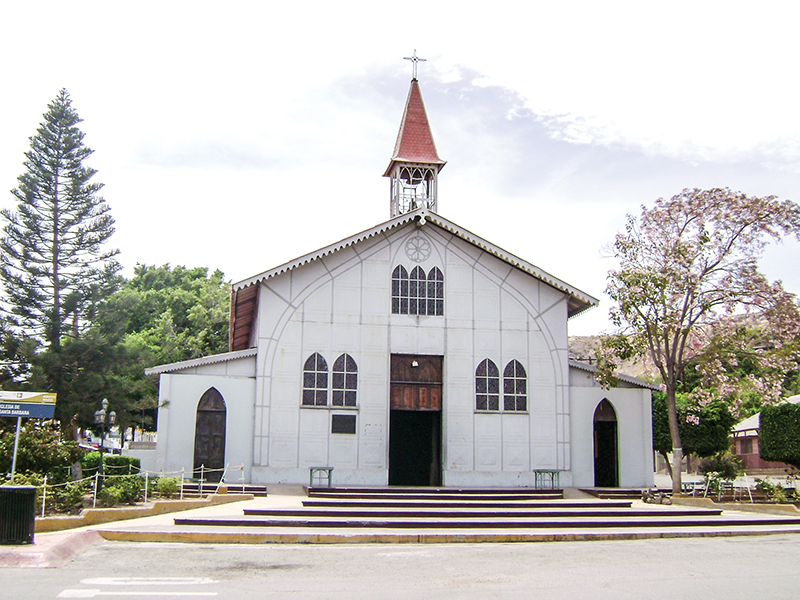 In 1885, the French mining company El Boleo built Santa Rosalia entirely of imported wood slabs as a typical French village; the graceful library, bakery, schools, shops and 100 homes were unique in Baja. By 1953 the copper petered out, El Boleo left and the village declined. In 2013, Mexican miners with advanced techniques returned, and Turismo restored the historic buildings — especially the popular French bakery where the “boleo” loaf was invented. Sadly, the 2015 Christmas fire destroyed 20 wooden gems, but they’re all being reconstructed. The church, which was built by Gustav Eiffel — yes, the Eiffel Tower architect — survived the fire. It was built in Brussels of modular cast-iron panels that were disassembled, shipped to Santa Rosalia and reassembled. Europe’s 1800’s industrial revolution greatly affected sleepy little Santa Rosalia. Still does.